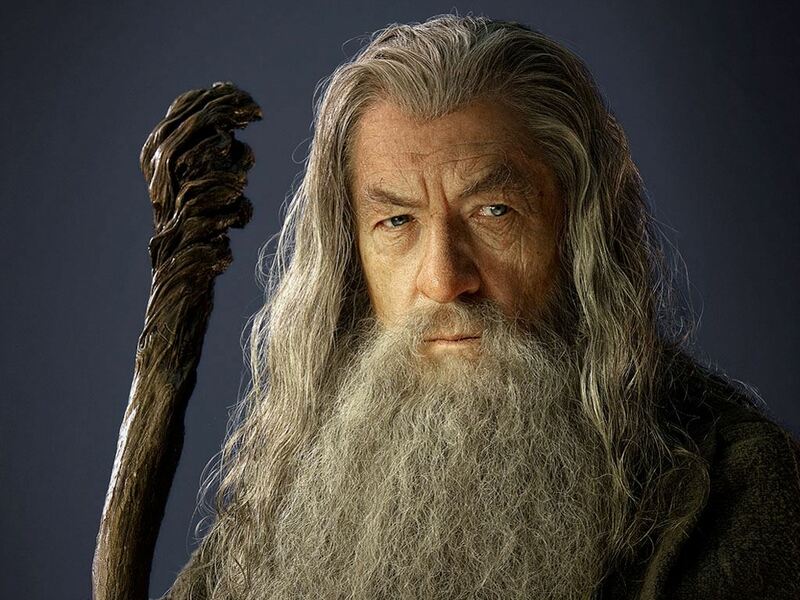 Many published authors and, I would venture a guess, most unpublished writers would adhere to what I call the “Gandalf philosophy of scene length”: A scene is never too long, nor too short; a scene is as long as it needs to be. I, however, do not subscribe to this philosophy. As you have probably (I hope) learned as an avid reader, scene length varies from author to author and from genre to genre. There are some general guidelines, though, that will help you in determining what length your scenes should be for your genre, your pacing, and your voice. According to Jordan Rosenfeld in Make a Scene . . ., “the ending of a scene provides a place for the reader to comfortably take a pause” (10). It’s also a place for you to switch viewpoint characters (within the same action in limited POV, or to move between actions/settings), take a breather from serious tension or action, or drop a bomb and leave the reader hanging. This is why it bothers me when I hear writers say that they write without scene/chapter breaks. Scene and chapter endings are what give your story its ebb and flow—it’s what builds tension and keeps the reader turning the pages. I’ve read many books which I suspect were written without such breaks, because when I got to the end of a scene or chapter, the break seemed arbitrary—kind of like when a commercial break is put in a weird place in a movie on broadcast TV. It’s disconcerting and pulls the reader out of the story. A scene break also keeps the reader actively engaged in reading—because a scene break (or chapter break—which, let’s face it, is just a bigger scene break) makes the reader consciously decide whether or not to keep reading or to put the book down. This is why scene length is important. But it’s also why knowing your genre and the pacing you want to create is important. If you are writing a sweeping, historical family saga, women’s fiction, literary fiction, epic fantasy, etc., scenes (whether a POV break or an actual break in the action) of under 1,000 words are going to make the book feel choppy and as if it’s jumping around, not giving the reader time to get established in any one character’s viewpoint or location or time. Same goes for romance novels—even in category-length (45k to 60k words) books, you want to make sure you’re giving your reader sufficient time to connect with your character—because these genres are character driven. Even though each scene must move the plot of the story forward (after all, every story must have a plot), you are going to have a slower pace to that plot, because character development is just as important as plot development. You’ll also find longer scenes work better in genres like science fiction and fantasy in which world-building and description are vital to immersing the reader fully into the world. If you are writing suspense or thriller or anything that is plot driven, you will want to use shorter scenes. Shorter scenes speed up the pacing of the story—because a shorter scene length (under 1,000 words) means you must use that word count to convey the most important information; this time, it’s all about action and plot. It’s about what happens to the characters—not necessarily their reactions to it. It’s about action, not world-building or relationship development. Also, the more viewpoint characters you have in a book, the more you’re going to want to lean toward shorter scenes, just to balance the viewpoints. How many times have you been reading and you start flipping forward to find out how many more pages until a scene/chapter break? If it’s too long, you’re probably going to put the book down in the middle of the scene—not what the author wants to happen, because it means the reader’s interest is waning in what’s happening in this particular scene. Considering that the average chapter length in most character-driven popular fiction is between 3,000 to 4,500 words, that would be about as long as you’d want to make a single scene (which would be a chapter on its own). But you don’t want every scene to be this long. To intentionally slow down the pace after lots of action or intense dialogue to allow the characters (and the reader) to process what just happened—and to start building new tension and suspense. But be sure to include action in such a scene! For a centerpiece action scene—a fight scene, a chase scene—in which your character is in peril to keep building the action and suspense and not interrupt the reader’s involvement in it. Anything under 1,000 words can be considered a “short” scene. There are authors who have made the very-short scenes work (James Patterson in When the Wind Blows uses scene-chapters that are around 500 words, or 2 to 3 printed pages, so it can work). If you use too many short (less than 500-word) scenes, it becomes akin to headhopping. Remember, the reader needs to be grounded in the viewpoint character’s head for long enough to get to know who the character is, especially in the beginning of a novel. To create a sense of urgency and increase the pace of the story, forcing the reader to keep reading. The average scene should be between 1,000 to 2,000 words. Keep in mind: Scene length affects the pacing of your novel. Shorter scenes mean faster pacing. Longer scenes mean slower pacing. What kind of flow do you want your novel to have? That will tell you if you want shorter or longer scenes. I tend to average about 1,500 words per scene (which works out to five or six pages in a trade-fiction sized book). I will rarely put in something around 700 to 1,000 words (I used this more with the grandmothers’ viewpoint scenes in The Matchmakers series and in Ransome’s Quest in which I had six viewpoint characters). Because I have written this way for so long, this has become the natural pace for my voice as a writer. My storytelling style has developed to ebb and flow in that pattern. I will also occasionally write full chapters from one character’s viewpoint with no scene break. Sometimes, I will break action right at a tense moment to switch from one viewpoint character to another (but only after giving the first at least 1,000 words, and giving the second at least that much as well). Go look back at the last ten scenes you’ve written. How long are they? What does that indicate about the pace of your novel? Is that the pace your novel should be? Do you notice a word-length pattern? What are your personal guidelines when it comes to scene length? Rosenfeld, Jordan E. Make a Scene: Crafting a Powerful Story One Scene at a Time. Cincinnati, OH: Writer’s Digest, 2008. Tolkien, J. R. R. The Fellowship of the Ring: Being the First Part of The Lord of the Rings. Boston: Houghton Mifflin Harcourt, 2012. Thanks for your post, Kaye. I agree with your philosophy of scene length. My scenes average between 1250-1500 words, making my chapters an average length of 3750-4500 words. I usually write three scenes to a chapter as I’ve discovered this pattern best fits my style and my voice. These have been conscious choices for me, based on how I write and my observations of what works best for my stories. I have nothing smart to say. This is just an awesome post. Thank you. Very interesting. I remember reading an interview or article or something a few years ago in which a well known author discussed scene and chapter length. He said that his books start with short scenes and chapters as the reader is getting introduced to all the characters and plot points, and then as the story grows and becomes more involved, the scenes and chapters get longer. I can’t remember who the author was though! Maybe Orson Scott Card? Very helpful, Kaye! I’m always second guessing myself on things like scene length. In my shorter length novels (50,000-60,000 words and novellas of 20,000words) I typically follow that pattern of about an average of 1,000 – 1,500 words per scene with 3 scenes per chapter. Usually it works out that way and mostly they alternate POVs, though sometimes that last POV of a chapter and the first of the next will be in the same POV and that serves to break it up a little. The chapter I’m currently writing looked like it would be one POV for the whole chapter, but I think I can break it up with his POV in the middle. How do you feel about same character POV scenes successively in the same chapter? Hey, late to the game lol. But I wanted to hear your thoughts on writing a first chapter that was super short, like under 1,000 words (horror genre for added info). Yay or nay? Since I’m not familiar with the horror genre or what publisher/reader expectations are, I’d have to encourage you to try it—while also studying the master/published authors in the genre to see what they’ve done. Pull your favorite books/authors and conduct a survey of first chapters. Who uses short chapters? How long are the rest of the chapters in the book? What is the pacing of the story after a short opening? Then look at yours. What kind of expectation for story pacing does your short first chapter set for your readers? Do you follow through on that? How long are the rest of your chapters? Also, what happens at the end of this 1,000 words that makes it a chapter and not just the first scene of a longer chapter? Hopefully, you’ve already finished your first draft and are looking at revisions at this point. If you haven’t finished your first draft yet, finish your first draft before you worry about the length of your first chapter. (For more on why, check out the Finding Your Beginning in “The End” series.